A review of Contextualizing the emergence and the development of Turkish Nationalism in Cyprus: The British imperial impact, 1923-1939, by Ilia Xypolia. Until recently, Cypriot historiography neglected the Turkish Cypriots, while when that was not the case, academic works usually focused on the post-1960 history of the Turkish Cypriot community, ignoring thus the early British rule. In this way, a very crucial period for the formation of the Turkish Cypriot identity and the Cyprus issue was ignored, leaving a gap in the field of Cypriot studies. In the last ten years, however, there has been a considerable increase in the doctoral theses on the Turkish Cypriots. It is also striking that together with thesis completed by Turkish Cypriots, such as Altay Nevzat, there is an interest by Greek and Greek Cypriot researchers on the issue. Together with Elena Bouleti’s thesis on the Turkish Cypriot religious endowments (evkâf), Ilia Xypolia’s thesis covers the emergence of Turkish nationalism in Cyprus in the inter-war period. The originality of this thesis lies in that it puts equal emphasis to the external factors for the rise of Turkish nationalism as it does with the internal factors. In the first chapter of the dissertation, Xypolia introduces the reader to the topic of the research and the timeframe and provides the structure of the thesis. In the second chapter of the thesis, Xypolia attempts to define the four main factors that are related with the emergence of Turkish nationalism in Cyprus, namely the rise of Greek nationalism, the success of the Kemalist revolution, the modernization of the Cypriot society and the British colonial policy of divide and rule. As the author very accurately states, “there is no such thing as monocausuality in social sciences” (p. 37) and hence these factors are not solely responsible for this change in the Turkish Cypriot community. I would only add that we can trace the emergence of Turkish nationalism in Cyprus in an earlier stage, namely in the Young Turk era, although I do agree with the author that nationalism among the Turkish Cypriots is an “issue of the elite” and remains such for decades, until the 1950s. In the same chapter the author proceeds with the methodological analysis and an analysis of the concept of nationalism with a sub-chapter focusing on the nature of Kemalist nationalism. This part offers a detailed account of theories on nationalism with a focus on the Marxist perception of the term. The third chapter analyzes the importance of the external factors on the emergence of nationalism among the Turks of Cyprus. I find this chapter innovative for it attempts to reread the traditional analysis of the Greek and Greek Cypriot historiography that considers the British colonial policy the main force behind the national awakening of the Turkish Cypriots. 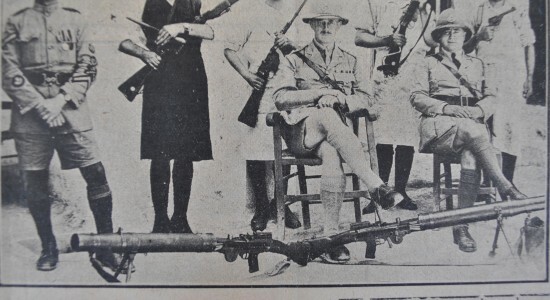 The role of the colonial government is, of course, analyzed in detail and Xypolia attempts to bring to the dispute the considerations of the British government in London in relation to Cyprus’ strategic position. The thesis also offers to the discussion two factors that have not been discussed in detail or have been ignored by the bibliography, namely the issue of the British University in the Eastern Mediterranean and the role that Italian expansionism played in the British policy towards the island and the Turkish Cypriot community. Reference to the situation in Palestine and the British policy towards the Palestinians would complete the analysis of the external factors. In the fourth chapter, Xypolia analyzes the internal factors that contributed to the emergence of Turkish nationalism in Cyprus. Emphasis is given on social and financial factors in the first sub-chapter. Nevertheless, I believe that the following two sub-chapters on the urbanization of the Turkish Cypriot community and migration to Anatolia are of great importance for the understanding of the changes that the community underwent in that period. The sub-chapter on urbanization describes with great detail the impact of the colonial rule on the community and its transition from the Ottoman to the British era. Most importantly though, the sub-chapter on migration is quite informative in relation to a topic that has been neglected by the historiography, maybe due to the lack of archival documents. Yet, Xypolia highlights the issue of the migration to Anatolia that, in the light of Turkish nationalism in Cyprus, remains an enigma, since the migration of Turkish Cypriots would weaken the community’s position on the island. The fifth chapter discusses the ideological and cultural aspects of the Turkish Cypriot identity that played a pivotal role in the spread and consolidation of Turkish nationalism. Since Turkish Cypriot culture, like culture in mainland Turkey, was greatly affected by the Kemalist reforms, this chapter is pivotal for the understanding of the Kemalist influence in Turkey and the consolidation of Turkish nationalism. The chapter analyzes issues such as language reform, the abolition of the fez, the reform of the judicial system, the role of the Evkâf that is also analyzed in the following chapter, and the issue of education and the struggle of the Turkish Cypriot Kemalists to obtain the control of their educational institutions. The sixth chapter, finally, introduces the reader to the political context. In this chapter Xypolia discusses almost all major political events of the time of the research. The issues that are discussed in this chapter are important in order to understand the conditions under which the community was gradually politicized. For example, the representation of the Turkish Cypriots in the Legislative Council, the elections for the Council and its significance for the community, the emergence of new political figures but also key issues like the October 1931 revolt and its consequences for the Turkish Cypriots, the autocratic rule of governor Palmer, who was appointed after the revolts, and the role of the Turkish consul, who was appointed by Ankara in order to facilitate Turkish Cypriot immigration to Turkey but was later involved actively in Turkish Cypriot politics, are all issues that are discussed in detail. Last but not least, the sub-chapter on the rise of communist influence in Cyprus, with the foundation of the Communist Party of Cyprus that evolved to AKEL, the Progressive Party of Working People, offers a detailed account of the impact that the communist ideas had for the Turkish Cypriots. In all, Ilia Xypolia’s thesis analyzes the emergence of Turkish nationalism in Cyprus in a detailed and original way by combining the external factors, that have been well researched, with the internal factors, that are not very well known to the non-expert reader. In doing that, Xypolia offers to the discussion on the Turkish Cypriot community new elements from the history of the colonial administration and the community itself. The strength of this research also lies in the extensive research that was undertaken in Cyprus, Turkey, Greece, the UK and the US. Image: Young Turkish Cypriot auxiliaries along with British colonial security officials in Nicosia, Yeni Köroğlu, December 5, 1928.